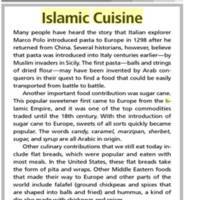 Robin Doak, author of Empire of the Islamic World explores interesting Islamic food inventions that were thought to be from European sources but might be from Arab conquests of Europe, such as pasta and sugar cane. Alcohol or liquor, known as khamr in Arabic, was a type of alcoholic drink in pre-Islamic and early Islamic days. 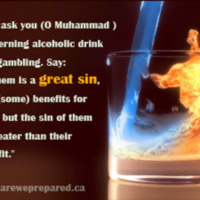 Through this website, viewers will find out why was alcohol still drank by some Muslims even after the Quranic verses stating alcohol as an equal sin to gambling were introduced in the early days of Islam. The Prophet Muhammad's (PBUH) sayings on alcohol will also be explored. 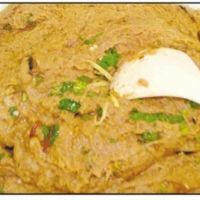 This website explores the famous foods such as harisa, which is a popular meat dish in today's Muslim world but was also popular in the medieval Arab world. 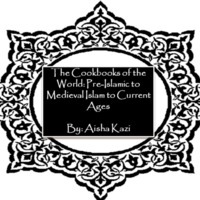 This site also looks at other foods which present Muslims can connect to and were also liked by Prophet Muhammad (Peace Be Upon Him). In this video, I am cooking a dish called sambusak, which is popularly known in today's Muslim world as samosa. It is an appetizer pastry dish with either a meat and chicken filling; in the medieval Muslim world, it also consisted of various nuts such as almonds and pistachios. I have added my own touch to the dish, so enjoy! Different paintings of Muslims during the Islamic empires eating and/or cooking foods, including Sultans of Delhi, India during the Malwa Sultanate in 1392–1562. The cookbooks range from Mesopotamian times to medieval Muslim empires to a current Syrian cookbook, taking viewers back to the dining tables of pre-Islamic peoples to today's society in Damascus, Syria.